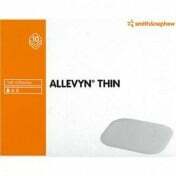 The Allevyn Plus Wound Cavity Dressing, by Smith and Nephew, is a high-absorbency dressing material to manage and hold fluids within deep wounds. 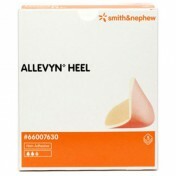 Smith and Nephew use what they call hydrocellular technology with their cavity wound dressing, which uses absorbent foam chips with an outer film that resists adhering to wound tissues. 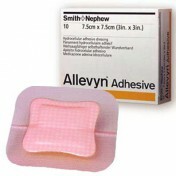 However this dressing will stay in place when inserted and conform to the shape of the wound opening. 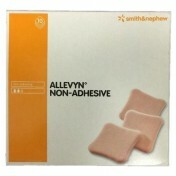 For deep wounds, this kind of dressing is an integral part of a patient's wound care management and the Allevyn Plus Wound Cavity Dressing exceeds expectation by offering several advantages. One of these advantages is that the wound dressing supports a moist environment within the wound while still locking fluid (exudate) inside. Better wound healing exists in a moist environment so this type of dressing will not interfere with a speedy healing process while usage instructions are being followed. 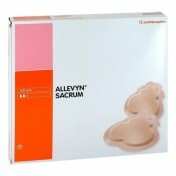 The cavity dressing has ultra-absorbent material. The material maintains a moist wound environment. It maintains a quick healing environment. 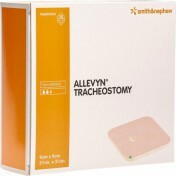 The dressing material will not stick to internal tissues. 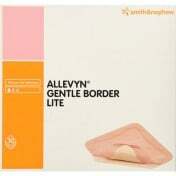 Dressing strips are pliable to fit any wound shape.